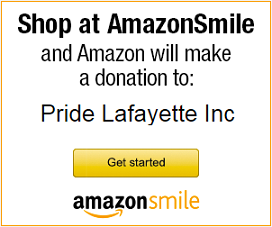 Uncategorized – Pride Lafayette, Inc. The center will be open Christmas evening from 6-8. Stop in for a visit and while your there, have a slice of homemade pie or a cookie, made by our own Nicki Anderson. Happy Holidays! The Community Center will remain closed tomorrow, January 7 due to weather conditions. Our January Board Meeting, scheduled for tomorrow, will be postponed and the reschedule date will be announced soon. Join Freedom Indiana at Purdue tomorrow, Thursday (17th), in Recitation 121 from 5-8 for a phone bank. You can meet the new Freedom Indiana representative for the area! The May Board Meeting, scheduled for this evening, has been postponed. We will announce the new meeting date and time as soon as it is rescheduled.